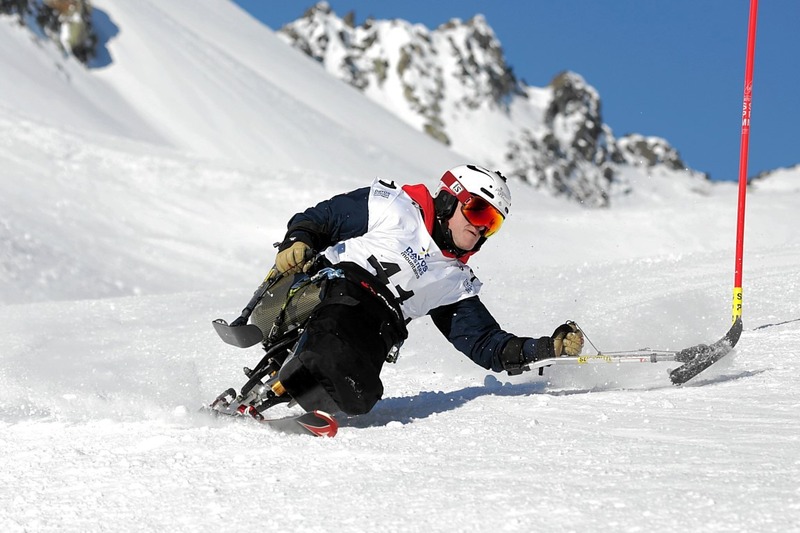 In two weeks' time teams of four from the business community will congregate in Klosters to compete in ski races not only against each other but also teams of wounded veterans in the third Skiing with Heroes Business Challenge. This event raises much needed funds for the charity Supporting Wounded Veterans, which aims to get wounded ex service men and women back into meaningful occupation through its schemes; these include a ski week, mentoring scheme and access to its pain management program at the King Edward VII hospital. PT Ski are proud not only to support this charity but also to be the organisers of the event. Supporting Wounded Veterans is a charity that helps wounded veterans get back into civilian life and occupation. Founded in 2012 as ‘Skiing with Heroes’, the initial activity was the organisation of a rehabilitation ski week and, since the first one in Klosters in 2013, the charity has been able to increase the number of veterans taken each year. Every year they have over 100 applications but only have funds to take 30 veterans. Because each of their veterans require differing levels of ongoing support and encouragement, they have created a needs-based Occupation, Training and Employment (OTE) Programme which the veterans join following the ski trip. The statistics are consistently outstanding: 87-90% of the veterans who have been through the Programme are now in a meaningful occupation. They have also recently opened a Pain Management Clinic, specifically for wounded veterans. •	Skihabilitation – showing medically-discharged veterans, whether suffering from severe physical injuries, combat stress (PTSD), or a combination of both, that nothing is impossible. Skiing is one of the few sports in which, with expert help, almost anyone can participate – no matter how severely injured they are. •	Pain Management Clinic – for many, the first comprehensive review of all their medication and treatment, it aims to improve the management of chronic pain and symptoms without which, getting back into work would be impossible. This has been opened in conjunction with King Edward VII Hospital in London. •	Mentoring programme – a structured programme giving each veteran a dedicated mentor, business or life coach – we encourage their re-entry to civilian life and, if possible, employment. •	Employment programme – helping Veterans understand the job market and their transferable skills, matching ability and creating opportunities with employers - continuous support for SWH veterans once they secure the right role. •	Family Support Network – a network supporting those closest to the veterans who are often overlooked in their rehabilitation. •	The marathon is a fabulous way to explore the Parsenn ski area in the guise of a fun and competitive challenge. This unique event is designed to test strategy and cunning, with careful planning likely to prove more rewarding than stamina, endurance and ski ability. The task is to ski the mountain as a team of four with the winning team being the one which skis the most km in the time permitted. However, it is not as straightforward as it seems! While teams are allowed to ski runs as many times as they like they are only allowed to score each one once. Competitors will be faced with some serious conundrums. Should they ski to Kublis, the longest run on the card, knowing that if they miss the train back to Klosters at the bottom they could be stranded for an hour? How do they minimise queuing/waiting time at the bottom of a lift? How long a lunch can they afford to have? The only thing that is certain is that the debate as to what tactics work best will continue long after the race is completed! •	The Giant Slalom - For some there can be few more daunting moments in skiing than standing in the start hut staring down a race course with a series of red and blue “gates” stretching out in front of you. With hearts beating and adrenalin pumping Challengers will hurtle down the course. The team score will be the aggregate of the fastest three in the team, so some racers may choose to be aggressive and others conservative. The snow bar at the bottom of the course is an added incentive to get down to the bottom as quickly as possible. The team that achieves the best combined result from the two competitions will be crowned Business Challenge champions 2017. Teams will have to work hard if they are to get the better of some of the veteran teams!